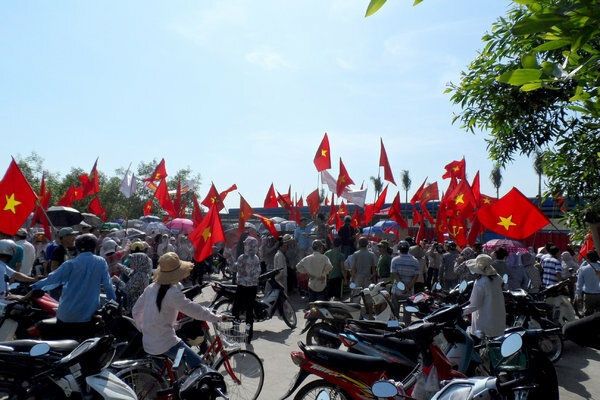 News from Vietnam is that there have been significant protests in the central coastal province of Ha Tinh against China. 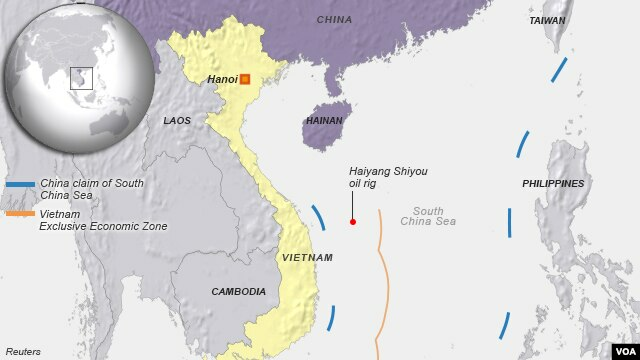 In this provice, Vietnamese angered by the Chinese planting of an oil rig in waters claimed by Vietnam, attacked factories and businesses run by Chinese there. At least two deaths were reported and over 100 injuries. Yesterday, the Chinese announced that up to 3000 nationals would be evacuated from Vietnam, and have sent ships to pick them up. China was not messing around when placing its oil rig. The rig is a regular platform, and Chinese military warships or some version aggressively went after Vietnamese vessels with water cannon. Teatree doesn't expect the Chinese to back down anytime soon in asserting its resource claim in the South China sea. Nor does he expect a meek acceptance of the violence against its citizens in Vietnam, in spite of the quick effort to evacuate them. And while the Vietnamese have shown themselves to be a formidable foe - certainly with the French and then the US - this confrontation with the Chinese must certainly be viewed soberly. Ironically, the anti-China riots did not discriminate between Taiwan national factories and those of the People's Republic of China.